Great news for many as it has been recently reported that China’s intellectual property office has published a design registration revealing a speculated new 2019 BMW S1000RR. 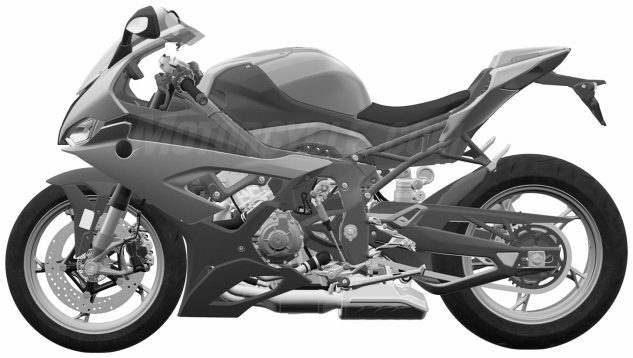 Filed February 23, 2018 with China’s SIPO with a priority filing with Germany’s patent office dated August 23 2018, the design displays a sport bike that seems identical to the spy photos that were unveiled not long ago. According to the prototype, the design shows a new and different engine. It is still an Inline-Four, this time with the four head pipes merging into two before entering a collector likely containing the catalyst and finished off with a silencer. Even the chassis has been revised with a new frame. The frame rises gently from the rear engine mounting plates and turns up steeper behind the cylinder head. Both the rear subframe and the swingarm are also completely new. The bike also features a color TFT screen and will be expected to receive electronic upgrades to function the digital display. Should we expect a special version of the Suzuki GSX-R1000R?